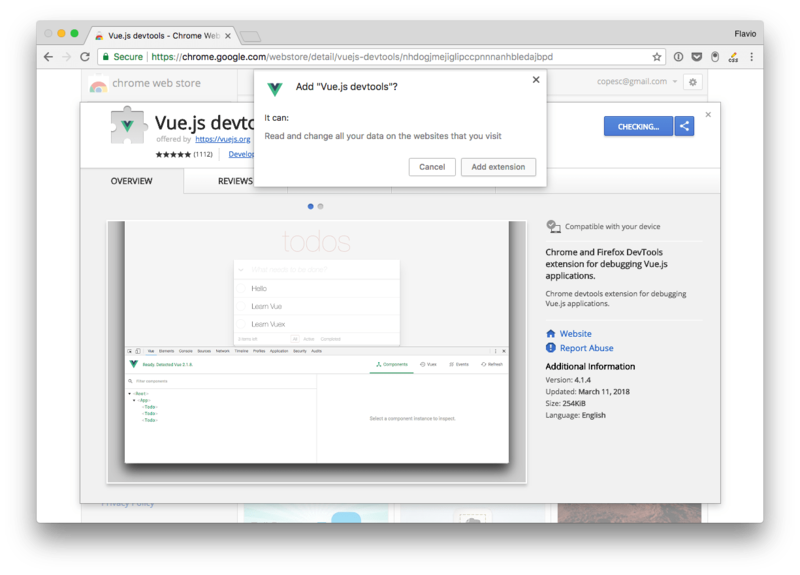 This is a friendly reminder to install the Vue Devtools Extension. What’s that? Any popular framework has its own devtools extension, which generally adds a new panel to the browser developer tools that is much more specialized than the ones that the browser ships by default. 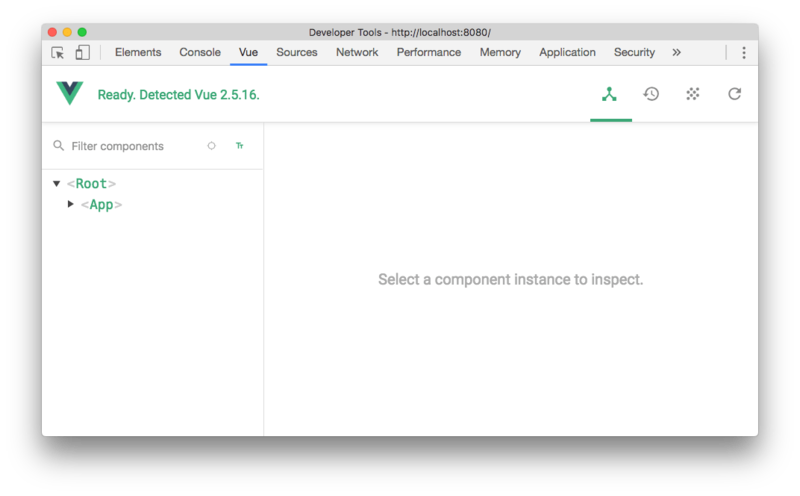 In this case, the panel will let us inspect our Vue application and interact with it. 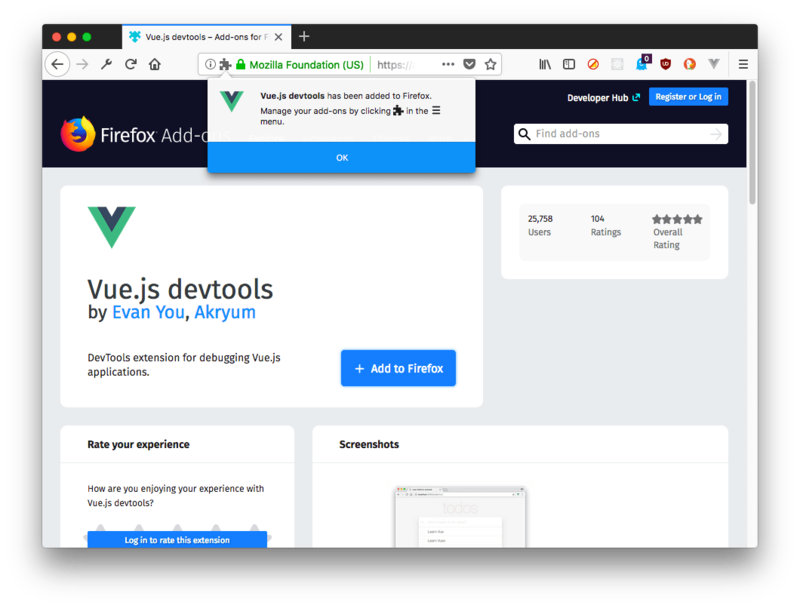 Safari, Edge and other browsers are not supported with a custom extension, but using the standalone application you can debug a Vue.js app running in any browser. 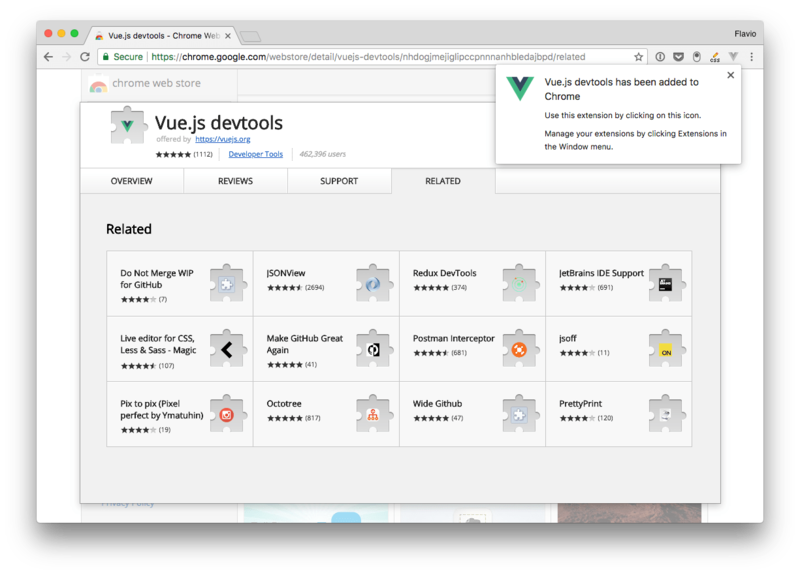 Go to this page on the Google Chrome Store: https://chrome.google.com/webstore/detail/vuedevtools/nhdogjmejiglipccpnnnanhbledajbpd and click Add to Chrome. 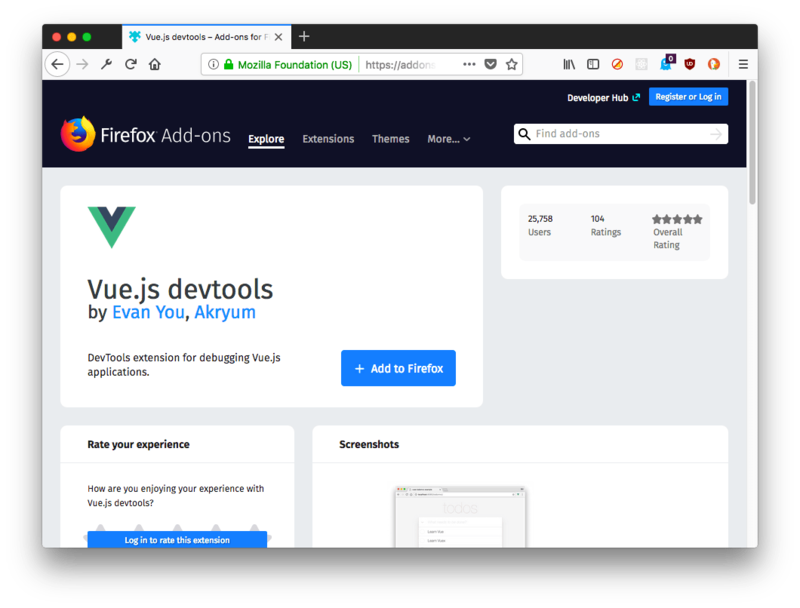 The Vue.js devtools icon shows up in the toolbar. 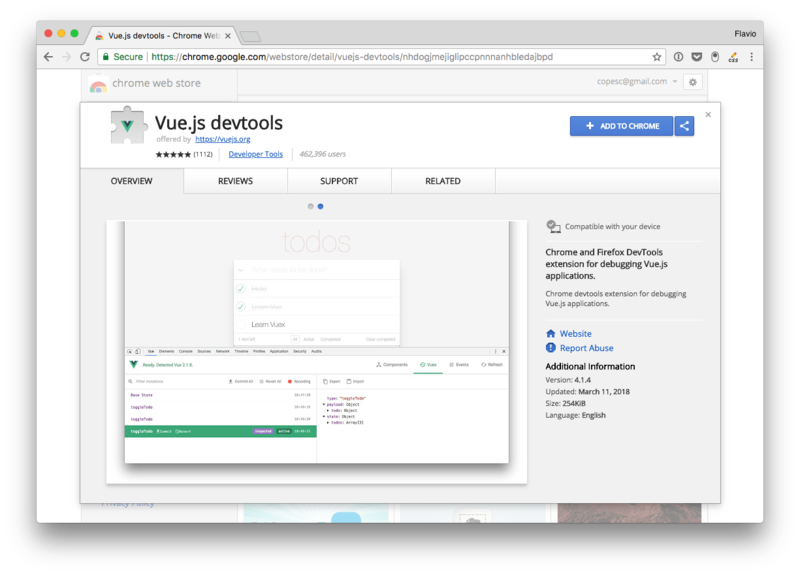 If the page does not have a Vue.js instance running, it’s grayed out. 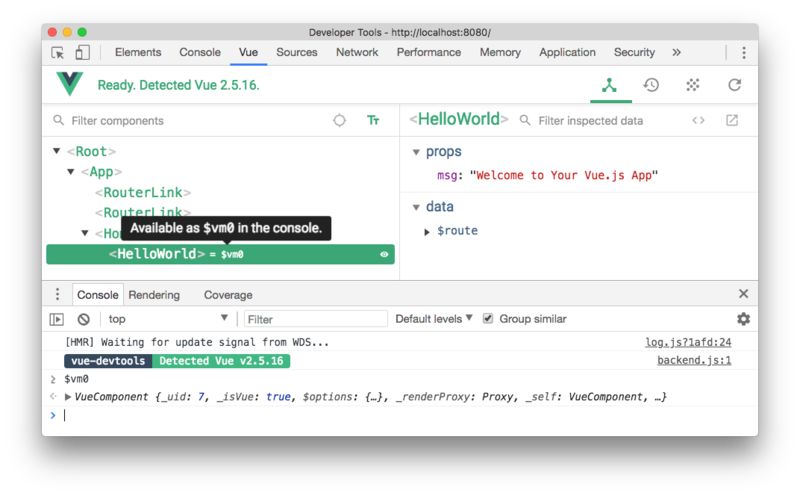 If Vue.js is detected, the icon has the Vue logo colors. 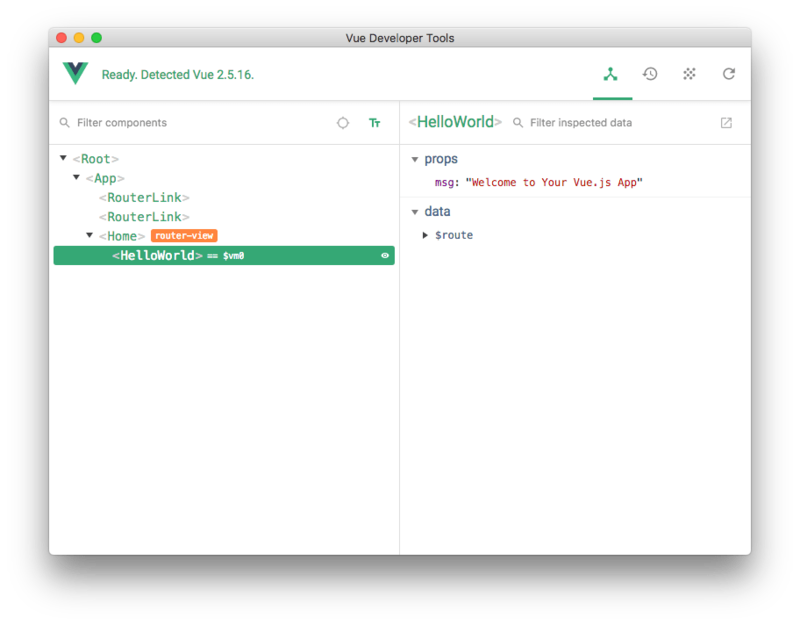 Alternatively, you can use the DevTools standalone app. This will open the standalone Electron-based application. 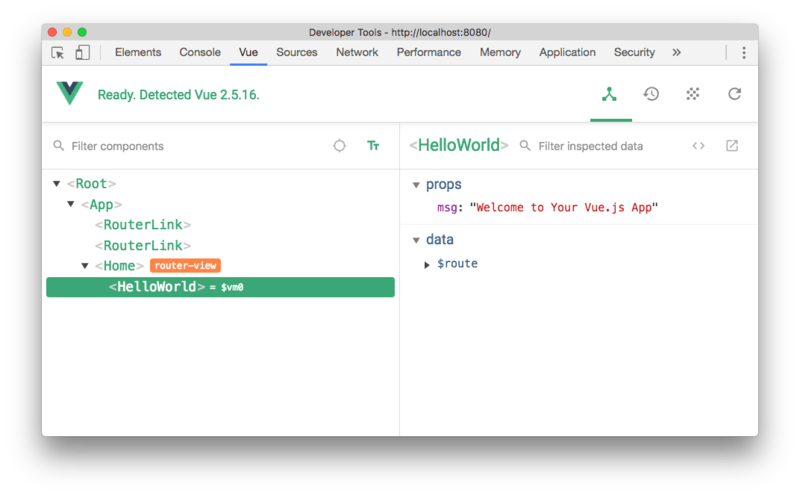 As mentioned, the Vue DevTools can be activated by opening the Developer Tools in the browser and moving to the Vue panel. Components (the current panel), which lists all the component instances running in the current page. 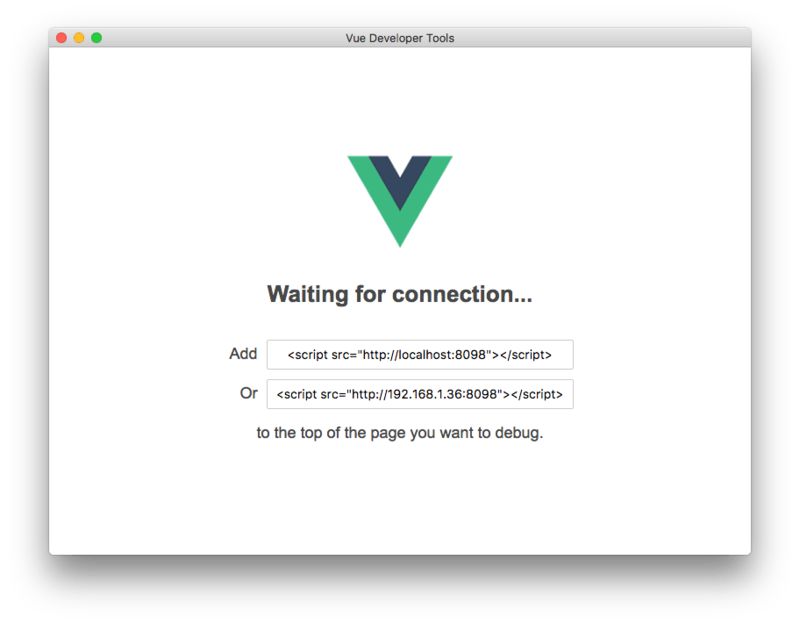 Vue can have multiple instances running at the same time, for example it might manage your shopping cart widget and the slideshow, with separate, lightweight apps. 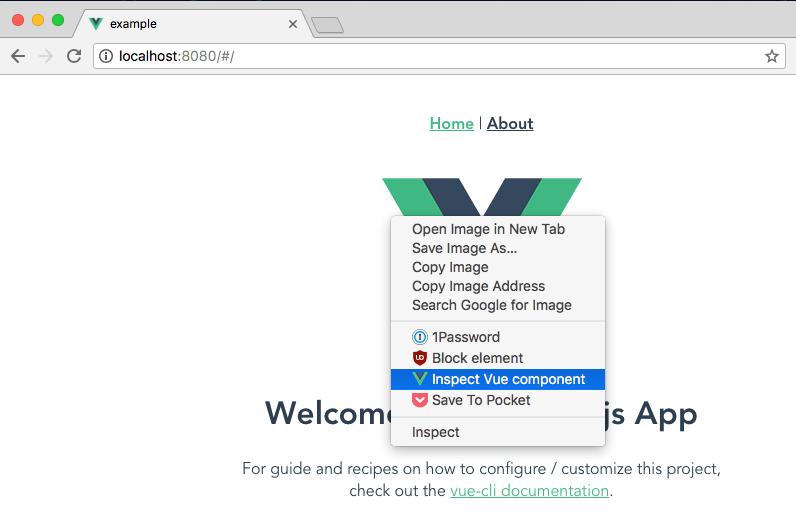 Vuex is where you can inspect the state managed through Vuex. This is very cool to inspect and interact with components without having to assign them to a global variable in the code. Start typing a component name, and the components tree will filter out the ones that don’t match. button and you can hover any component in the page with the mouse, click it, and it will be opened in the devtools. You can choose to show components in camelCase or use dashes. On the right panel, you can type any word to filter the properties that don’t match it. Any user component (not framework-level components) has a button that opens it in your default editor. Very handy.